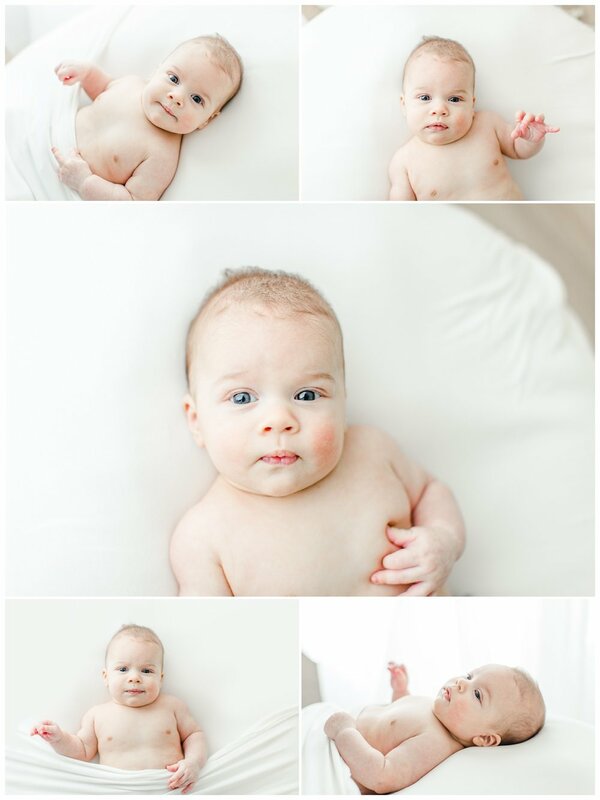 Many of my clients have similar questions about their newborn session. I thought it might be helpful to answer some of those commonly asked questions on the blog to help others who might have the same questions! 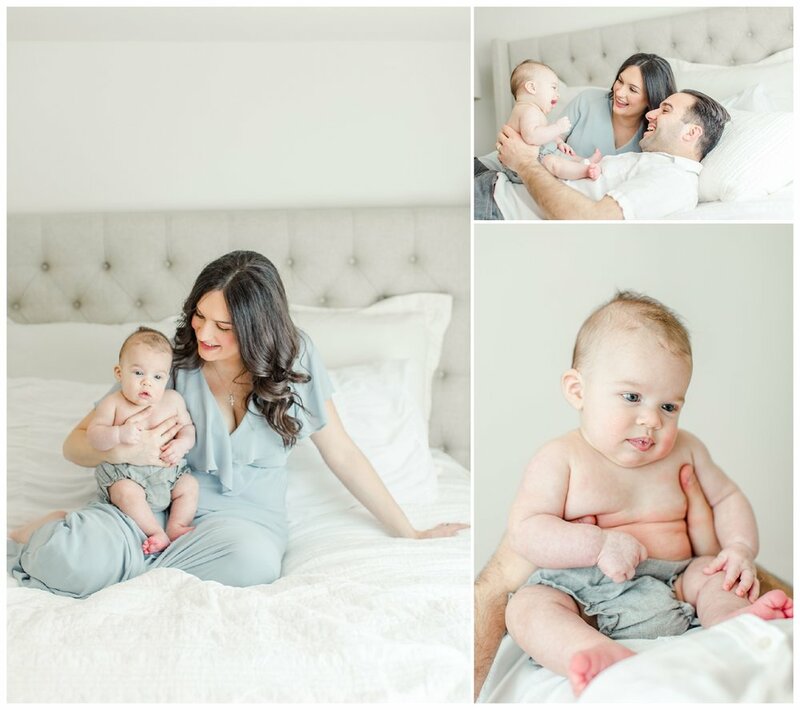 When should I book my Newborn Session? As soon as possible after you find out you are pregnant! I only take a handful of newborns a month (based on your due date), so to ensure I have room for your session, it is best to book in advance. How old should baby be for the session? The ideal time for a Newborn session is when baby is 5-10 days old. They grow and change so much in the first few weeks so the sooner the better. However, I always want Mom and baby to be feeling well for the session, so if we need to wait a few extra days for Mom or baby, that is 100% ok!! I never turn babies away, no matter how old! When you decide to book your session, we will tentatively schedule for about 8-10 days after your due date and adjust after the baby is born if necessary! 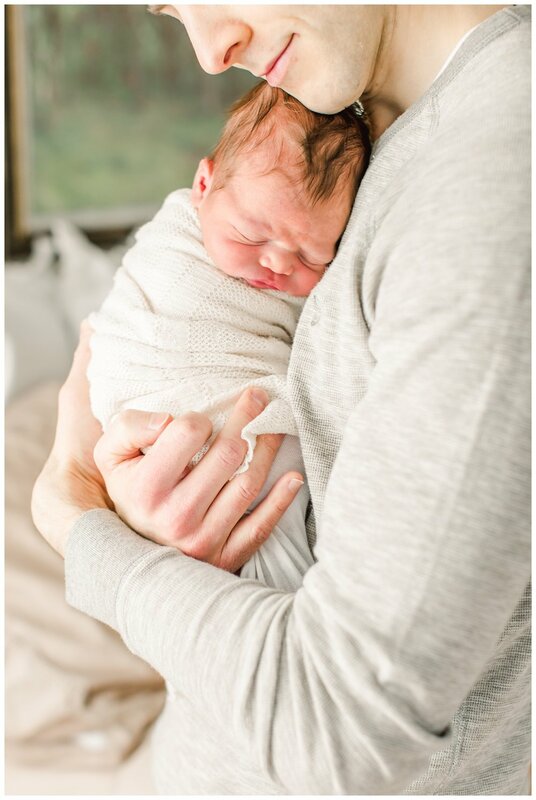 What days do you shoot Newborn Sessions? I have Monday or Tuesday mornings available for Newborn sessions. 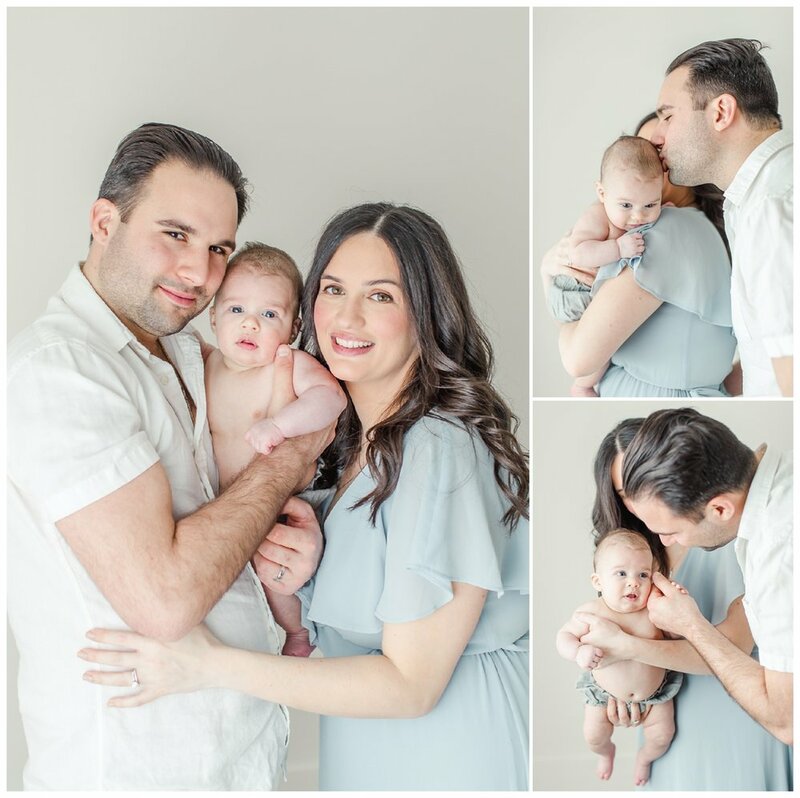 Where should we do my Newborn Session? I offer in studio sessions at my studio in Darien, Connecticut. It is set up as a lifestyle studio with a bed and other furnishings to look like a home. 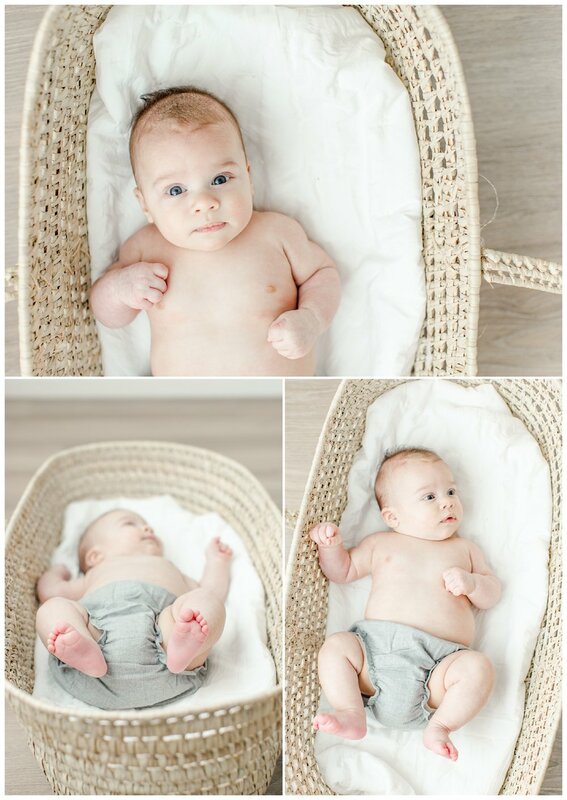 I also offer in home lifestyle Newborn sessions. The in-home sessions are ideal for clients with beautifully decorated nurseries with homes that get a lot of light. 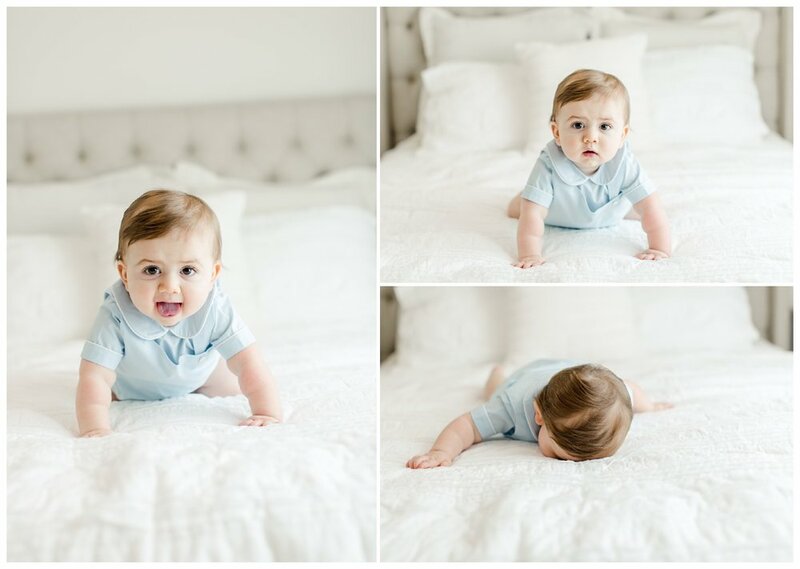 Photographs are usually taken in the master bedroom and nursery during in-home sessions. Can the family be in the portraits? Absolutely!!! 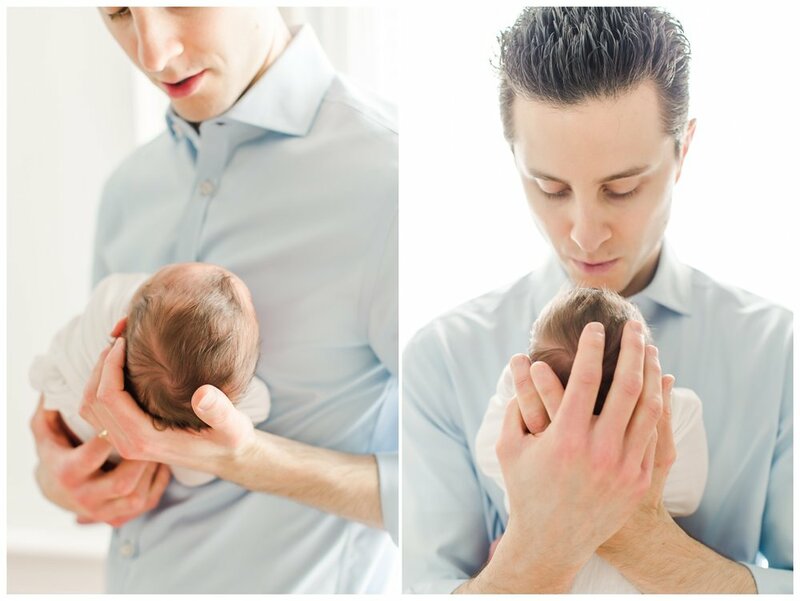 I spend most of the session time photographing your new baby with Mom, Dad and siblings (if there are any). I love documenting those emotions and connections at the most special time in your life. What time do you start Newborn Sessions and how long do they last? I start all sessions at 9:30 am. They length of the session is really dependent on baby! I never rush through a session and leave plenty of time for feedings and tending to baby as much as necessary! Most sessions last 2-3 hours. Does baby have to be asleep during the session? The short answer is no, they don't! I do a lot of cuddly family photos, photos with Mom, photos with Dad and photos with siblings. Baby can be awake or asleep during this portion of the session. I love when babies to sleep during their individual portion of the session so that they are still, calm and peaceful (and no worries of crazy hands and cross eyes you get with awake babies)! Sessions move faster when babies are sleeping because we don't have to stop as often to feed and soothe. 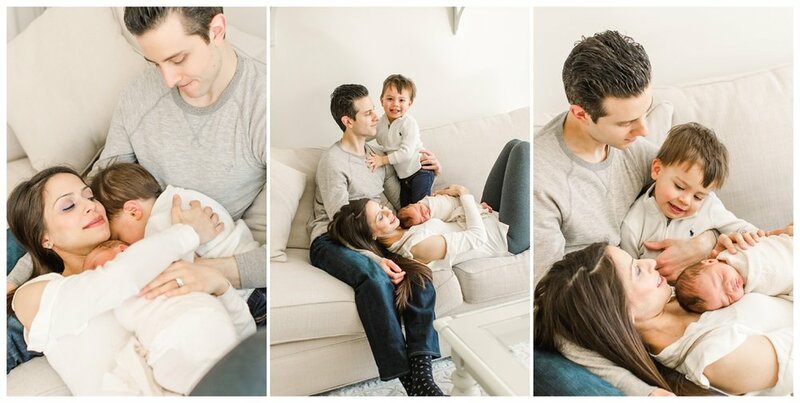 I recommend that Mom and Dad keep the baby awake for an hour or two before the session so that baby will sleep right through the session! Do you pose baby? I have a natural, simple and organic style. 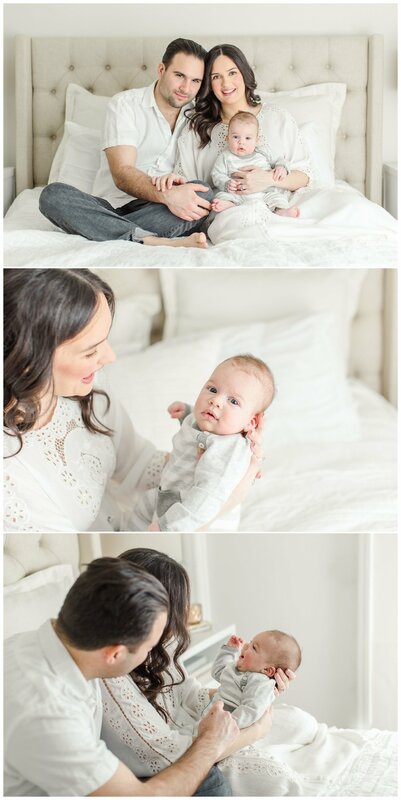 I do very minimal posing with baby and prefer to photograph baby in their natural, real positioning. What should baby wear during the session? I have lots of wraps and a few little outfits that baby can wear during their session so their is no need to worry about clothing for your baby! If you have a special outfit or blanket, you are welcome to bring it! For girls, I have headbands and bows as well! What should Mom, Dad and Siblings wear? No need to worry about this either! I have a client closet full of beautiful pieces for each member of your family. If you want to bring your own clothing, bring light colors in white, gray, tan, cream, soft blue, soft pink, etc. Do you offer hair and makeup? Yes! 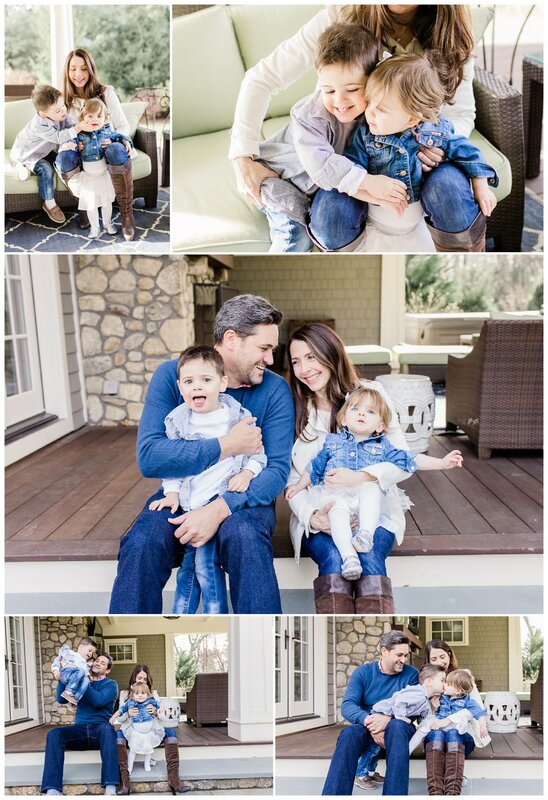 I work with some wonderful artists who will come to the studio and get you ready while I photograph your baby alone! I recommend that if you have other children, Dad (or someone else) bring the children about an hour later to give you some time to relax and get pampered! The fee is $100 for makeup and $100 for hair styling. What should I bring to the session? Just yourselves, your baby, a paci if baby likes it, and formula/breast milk (you are welcome to nurse your baby at any time during the session so don't worry about pumping and bringing milk)! I have diapers and wipes on hand for your to use! I also have snacks and drinks at the studio for parents and siblings! Choosing a photographer can be stressful and confusing! Here are a few tips to help guide you through the process of finding the right photographer for your family!